p. 109 and 112: Later annotations with some Portuguese words. 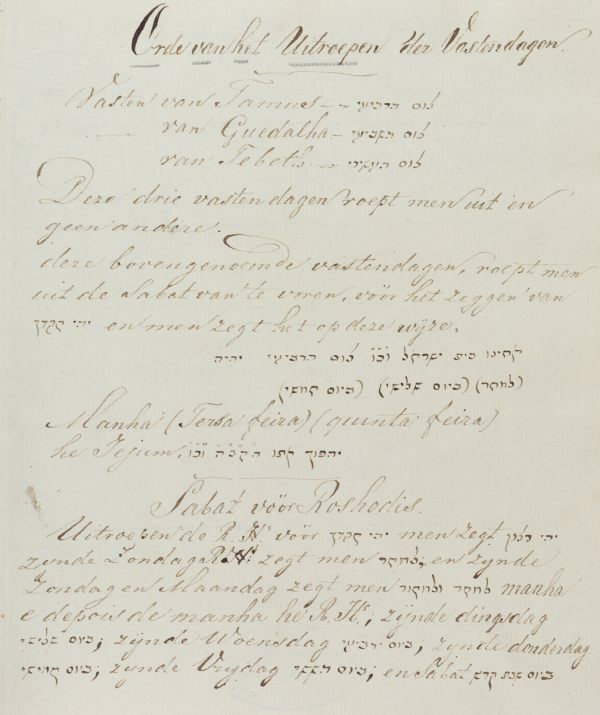 Dutch with Portuguese and Hebrew quotations / Paper / 20,1 x 16,8 cm. / 112 pp. (first 3 ll. blank) / Variety of lines to a page / Current and Sephardic cursive writing / No title page / Paper cover. Not in Fuks. Fundação Calouste Gulbenkian.